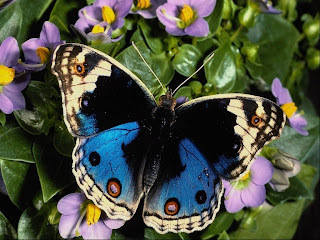 Animal Wildlife | Butterfly | The butterfly can be found in most countries in the world, but there tend to be more butterflies in warmer climates. 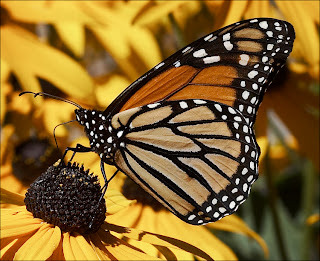 The butterfly is a type of insect that feeds on flower nectar through its long and curled straw-like tongue. 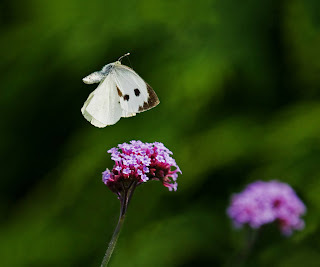 Butterflies are similar in appearance and tendencies to moths, with many species of butterfly often getting confused as a moth and moths with butterflies. In general the butterfly species tend to be more brightly coloured than the moth species, but there are exceptions. The butterfly's most reputable characteristic is the fact that there is an incredible morphing process, during the life cycle of the butterfly. The butterfly starts life as a caterpillar, which cocoons itself in a silky thread. The caterpillar emerges from it's time in the pod, with colourful wings. The butterflies in the tropical rain forests of the southern hemisphere, can get to incredible sizes, with the wings of these butterflies displaying some of the brightest colours in the natural world. It has been estimated that there are between 15,000 and 20,000 different species of butterfly in the world as more are constantly being discovered particularly in dense jungle regions that have little contact with humans. 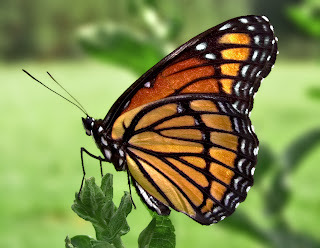 The different species of butterfly vary in size and colour as well as the differences in the bright patterns that are displayed on the wings of the butterfly. Butterflies are herbivorous animals as butterflies are known to only eat plant matter with a high sugar content. Butterflies fly between the flowers drinking the nectar through their long tongue which acts as a straw. Whilst doing this, the butterfly transfers pollen between the plants, meaning that the butterfly plays a vital role in the pollination of plants around the world. Due to their small size and colourful wings, butterflies are preyed upon by a number of animals around the world. The main predators of the butterfly include amphibians such as frogs and newts, small reptiles such as lizards and mammals including bats. 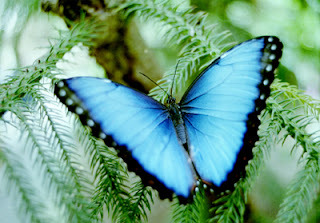 Butterflies reproduce by the male butterfly inserting his sperm into the pouch of the female butterfly. 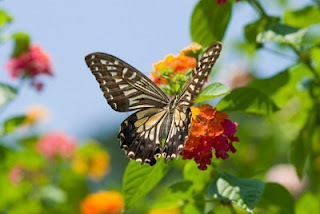 When the female butterfly is ready to lay her eggs, she performs a kind of self-fertilisation process as when the female releases an egg, it passes the pouch that contains the sperm of the male butterfly and is fertilised. 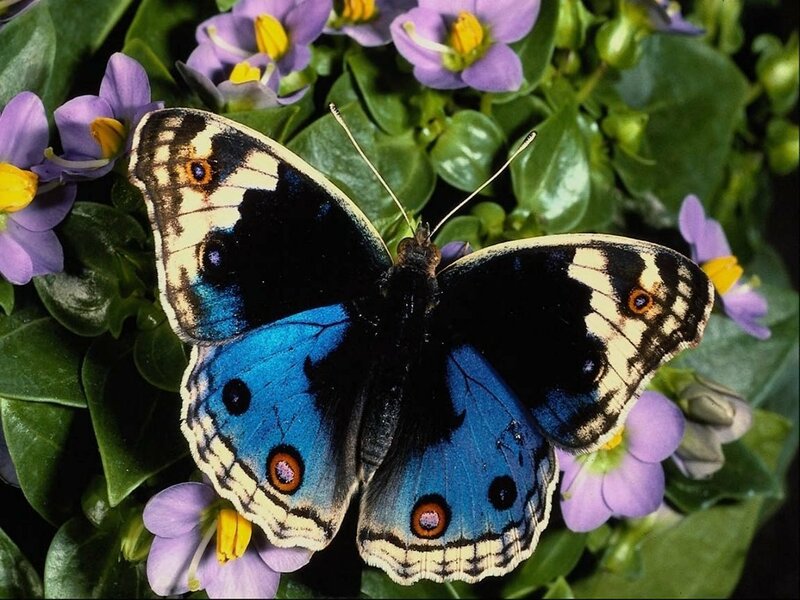 Female butterflies lay around 100 eggs at a time, with some species of butterfly laying their eggs in a cluster (all at one time) and other species of butterfly lay there eggs individually onto numerous different plants. The egg soon hatches as larvae which develops into a caterpillar and then into a butterfly. Butterflies have intrigued and been of one of natures wonders due to their gentle nature and bright colours. Butterflies are commonly used in art and literature around the world and across numerous different cultures. Some of the decorative wedding rings are particularly tricky to resize, so please consider trying on some samples first, Wedding Rings Platinum are more tricky than any others.